How Can a Checking Account Go Below Zero Dollars? Credit unions are cooperative financial institutions formed to serve certain members of a community. For example, a credit union may be set up solely to serve federal government employees and their family members in a certain county. To open an account online with a credit union, you must meet their membership requirements. To find out a particular institution's membership requirements, you must visit the credit union's website. Go to the website of the credit union you would like to open an account with. Select the type of account that you would like to open (e.g., checking, savings or money market). Select the "Apply" or "Apply Now" option to open an account online. 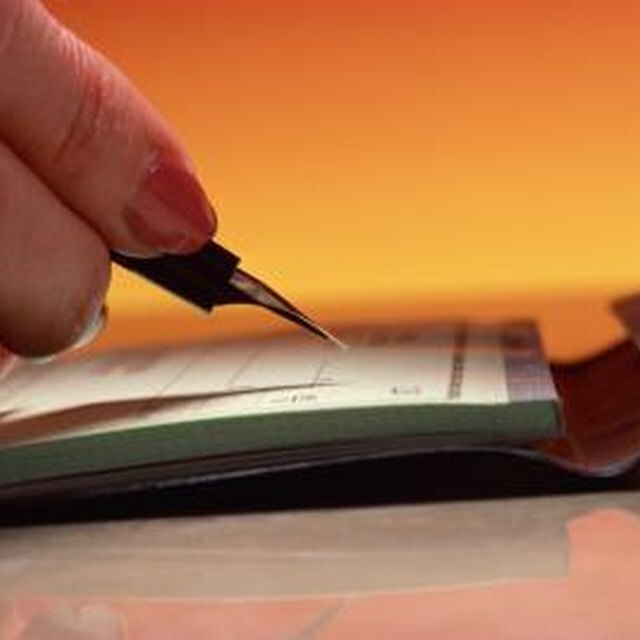 Can a Minor Have a Checking Account? Verify that you are eligible to join that particular credit union. Verification may require you to name the family member that current belongs to the credit union, name your employer, or put in the county and state in which you live. Enter in your account details. You will be required to type in your full legal name, Social Security Number, birth date, permanent address, phone number, mother's maiden name, current employer and perhaps even a beneficiary name in the event of your death (optional). Wait for your application to be processed. It may be processed and approved within seconds, or you may have to wait for a confirmation email. Many banks will run applicant information through ChexSystems to make sure an applicant doesn't have any outstanding debts or overdrawn accounts at other banks. Send the required minimum amount to open your account. Many credit unions will allow you to enter in your Visa debit card from another bank to deposit the minimum amount required, or come to the bank in person to deposit the amount within a certain time frame. Si Kingston has been an online content contributor since 2004, with work appearing on websites such as MadeMan. She is a professional screenwriter and young-adult novelist and was awarded the Marion-Hood Boesworth Award for Young Fiction in 2008. Kingston holds a Bachelor of Arts in English from Mills College.